Free days. Only a few months ago, these holy days suddenly ran out for Ryo. With people invading his life and seemingly dragging him behind, his days became filled with the shinobi duties he despised. For a whole year after graduating from the academy, he was forced to attend, he was able to laze around freely. During this time, Ryo made sure he didn't attract attention, and he seemed to do a good job by doing a minimum of one mission every month or so. It was kind of shocking that with one letter, his life turned upside down. He was assigned to a squad along with his tormentor Aikiko, who was just reminded of his existence. This was the last thing Ryo wanted, but he was stuck with it. Her tricks and backhanded compliments were constant during this time, and the pot inside Ryo was close to boiling over. However, these emotions were calmed by the other member of Ryo's squad, who was a handsome man named Kejido who seemed to awaken a feeling inside Ryo that he didn't know was there. This feeling seemed to light a fire under Ryo, making him actually acknowledge his existence as a shinobi, finally giving him the drive to improve. Now that he looks back on it, he's not quite sure how he felt about Kejido. Was it love? Probably not. With their time apart, it was apparent that Kejido, a handsome smooth talker, was a classic first crush for Ryo with no feeling behind it. Now that he looked at it from an outsider's perspective, it was obvious that Kejido felt nothing for him and Ryo was just acting flushed for no reason. All of this was in the past, and now several months later, it's clear to Ryo that Kejido left him behind, which wasn't very shocking. The rest of Ryo's squad seemed to fade away, climbing at their own pace as Ryo sat at the bottom. There wasn't any complaint from the man himself, as he finally got what he wanted. His mind was locked on the past, even to the point where it invaded his dreams. The ringing of his alarm clock snapped him out of it as another day as boring old Ryo started. Waking up wasn't what it used to be for Ryo. What once was a blessing that he made sure to enjoy seemed to be ruined by dreams of his past. It's been like this for weeks, and Ryo had no idea why. He definitely didn't miss being active. As he got out of bed, his eyes connect with a mirror that was near his door. He looked at himself for a minute. His hair was longer than it was, with the black locks reaching his shoulders, his bangs hanging down to his cheeks. He also seemed to grow some facial hair, but it was less like a beard and was more like a few unattractive patches. His eyes seemed dead as they remained half open and his mouth seemed to be locked in the shape of a frown. Only a few months ago, his face showed a variety of emotions for the first time, and now he seemed to be in the worst shape he's been. Having no time to realize the severity of his decline, Ryo simply shook his head and made his way to the bathroom. As he got ready for his daily shower, he thought about how the foster home he lived in changed as well. Packed full of kids, the place used to be the embodiment of excitement with constant shrieks and laughter filling its halls. Nowadays, it lost most of what it had. With kids being adopted, the home became empty, and with emptiness, it became near silent. His parents also stopped bothering him as their minds focused on their business. Ryo felt like a ghost, but he reminded himself that this is what he wanted. 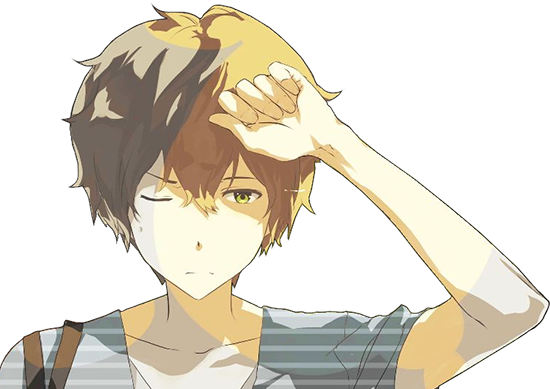 After getting out of the shower, Ryo dried his hair and made his way back to his room. His living conditions seemed to change in the same way as everything else. Before, it was kind of messy as one would expect from a lazy person. Not a disaster, but not pristine. As time went on, however, it seemed like it was close to being a disaster. With his clothes covering almost the entire floor space, one wouldn't be able to tell the difference between something that was just washed and something that was worn six days in a row. His books were disorganized, with some of them bent open buried under clothes. Dirty dishes were also a common thing, with various drinking glasses, plates, and silverware hiding in unusual places, not being touched for weeks. The common response to something like this would be disgust, and that would be what every outsider would feel if they were ever to walk in here. Ryo, however, seemed to be entirely ignorant as he made his way to his closet. He grabbed the last outfit that was hanging up, which was something that he never wore. A white v-neck shirt paired with a black sleeveless overcoat along with black capri pants. As unusual as it seemed for someone like Ryo, he seemed to pull it off. At this point, Ryo had no idea where his Hitai-ate was in the mess but didn't bother trying to find it. After getting dressed, Ryo quickly exited his room, shortly exiting his house after putting on black sneakers. Believe it not, Ryo did have a plan for today. Although it was planned out in the slightest, Ryo made his way to the outskirts of the village and started walking up the path to the mountains. That's right, Ryo, the sloth, was hiking. Although, it was on Ryo who'd call it that, as generally anyone else would make it out to be aimlessly walking. As he walked, time quickly started to pass as the sun started to go higher and higher. Ryo walked and walked, eventually making it out of the rocky desert and into the green alpines as tall spruce trees and lush grass replaced boulders and more boulders. The paths Ryo took started to fade out as he kept walking into what seemed to be an expansive valley spotted with tall trees and streams. Someone wouldn't be able to place Ryo as a hiker, and he wasn't by any means. He simply made sure to appreciate nature and it's beauty. The Land of Stone was an ugly place, but if one were to look, they'd be able to find beauty hidden in the mountains that didn't exist anywhere else. Making his way to the edge of a river that flowed out of the valley, Ryo finally stopped. He closed his eyes and took a deep breath through his nose, taking in his surroundings. The air, while being slightly difficult to breathe in, was clear and refreshing. Suddenly, Ryo would take a seat, eventually falling onto his back. The soft grass was a nice cushion as Ryo laid there, his arms and legs stretched out and his eyes staring at the sky. As he watched large clouds make their way across the blue, his mind seemed to clear itself. Although they will probably return when he made his way back to the village, the events from a few months ago locked away in his mind. Now, Ryo thought about his existence. Everything in his life seemed to be going the way he always wanted it to go, but now he was trying to figure out why he should even bother being here. He was a ghost, wasn't he? On the other side of the river where a young boy had surrendered into the grass' embrace with open arms, the verdant sea's softly rising advance would be halted by the beginnings of a mountain slope. A little before that, partially hidden by the tall grass, Mizuki had made a small resting place for herself to enjoy the day. The patch she had selected sported little growth as plants found little means to hold tight on the rocky underground, and was rather flat compared to the light rise the area sported. Up there, the mountains sheltered her against most of the teasing breezes, the green grass draping over the earth harboured plenty of crickets and other little animals that occasionally burst out in song, while the ever moving mosaic of white clouds, blue sky and golden sun brought a sense of peace throughout the valley the two found themselves in. Unlike the boy she spotted in the distance, Mizuki was seated on a makeshift rug of fur barely large enough for two people. A small campfire was burning, upon which an old copper kettle was slowly rising in tone to alert her of the boiling point it was about to achieve, its whistle possibly to be heard by other visitors nearby. The simple crate which had served as her means to carry most of her tools now served as a simple table holding three cups about the size of a fist and a clay pot filled with scenting tea herbs. A couple of big steps away of the fire, a small rack held up two bunnies stripped of their fur. Their meaty corpses washed in the river before, not a single bit of blood was to be found as they hung drying. All of this would form a temporary stop of the yamabushi that had lately been haunting the Valley of Mountains. The solitary figure of a woman in her early twenties, wearing a ragged brown kimono with golden trim was sitting on the fur that made her seating. Blue-green eyes would be staring absent-mindedly before her despite the whistle of the kettle expecting her attention. 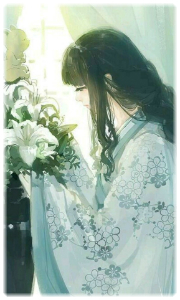 Long, black hair draped over her kimono, tied together with a simple white cotton ribbon, reflecting the shine of the sun as it passed over it. A simple traveller by the looks of it, but those that frequented the Valley of Mountains regularly often had other names for her. Though she introduced herself as 'Suzume, yamabushi of the Valley' to those who asked politely, the reputation she had unavoidably made with the few bandit camps and lingering thugs was more that of 'an akuma with unparalleled sword skill'. No matter the rumours or the names, Mizuki kept to herself ever since she had moved away from Kumogakure weeks ago. Much like Ryo who was rethinking his existence in life, so too was Mizuki trying to cope with the passing events in Sunagakure as she searched for inner peace and a new purpose in life that didn't involve the spreading of a twisted kindness in favour of a crazed 'divine' Raikage. Even a shinobi had their limits on the amount of deaths they could bring. A limit to how much and how often they could lie to themselves, forsake their own believes and goals in favour of another while believing that eventually all would turn out to be fine. For years she had attempted to form Kumogakure to a more diplomatic power. First at the side of the Raikage Lin, then as the herald of Hastur as she believed he would bring salvation indeed, and finally as a diplomat of Kumogakure before she, once more, had to wage a war for the sake of Sunagakure. Sunagakure's destruction. The Siege of Inabayama. Twice Sunagakure had been thrown into a large scale battle. Twice it would end up eradicated as an opposing force as the four other Nations tried to instate their own meddling desires 'for the good of Sunagakure'. But the worst thing of all was that the three powers who had started this whole mess remained unpunished for their transgression up until now. The aggressive scream of the kettle would snap Mizuki out of her thoughts and pull her back into the present. She picked up a piece of cloth and poured some hot water in one of the cups next to her before she placed the kettle on the ground nearby. Adding some of the tea herbs into the cup, she'd watch how the hot water would extract colouring and taste from the mixture and turn the beverage into a steaming cup of delicious tea. Leaving it standing so that it cool down a little, her blue-green eyes would shift over the field and the river. There were no signs the boy had stood up yet, but the grass on the other side somehow succeeded in hiding his presence from her immediate eyes. It didn't happen often she saw travellers in the distant Valleys, and even less were the times they casually laid in the grass to rest. Meaning he was either used to the area or somehow strong enough to deal with hardships should those arise. Returning her eyes to her cup of tea, the yamabushi would blow gently upon the hot liquid before picking up the cup and taking a careful sip, enjoying the taste that teased her buds before it would warm her throat and body despite the present sun. A temporary discomfort, as her body would soon cool off again. Feeling as how her body acclimatised, her thoughts wandered off to Kazuki, her protegee. The week was almost over and yet the boy was still recovering in the hospital to enjoy the herbal treatment that would break his fever and allow him to recover much easier. It would only be the beginning of the hardships again though, since the boy had suffered PTSD ever since he had seen his parents being slain before his eyes at the hands of a couple of bandits. The whole event had transpired here in the Valley, Mizuki's eyes unconsciously shifting to look into the direction where she had intervened by slaying the bandits before they could kill the boy. Some would have called her a hero that day, but the kunoichi felt guilty for not having been quicker. She could have prevented the death of Kazuki's parents if she had been just a little faster. Instead, she had only been able to save the barely five year old boy whom would spend his days at the hospital now, his mind suffering greatly from the nightmare he had perceived and could not deal with at such a young age. At times as these, where her thoughts circled time and time again over the whole event, she felt like she had done the boy no favour at all by sparing him. And though she knew such dark thoughts were just a brooding storm of self-pity, she couldn't help herself. She simply had to weather that storm. As if she were obliged to torment herself as punishment. Blinking against the rippling liquid of the herbal tea and once more returning to the present, Mizuki would take another sip. Perhaps it was just a thought, but she had often felt like this tea was able to keep the nightmares at bay. Quiet her mind, bring her aching heart at peace. Mizuki took a deep breath, raising her head to watch the clouds above her like the boy did in the grass. Once, she and her sister would see cute shapes in them... but now those shapes only formed meaningless white blotches. It was much like she felt about her life now - clear, yes, but without a proper goal to work to. As the young man laid silently on his bed of grass, the green around him seemed to take him into its soft embrace. While the weight of his relaxed body was enough to keep most of it down, some stray strands seemed to find the strength to slither out, essentially swallowing him whole. Ryo would stay motionless, accepting this with open arms. In Ryo's mind, rest was not idleness. To lay sometimes on the grass underneath the sun on a summer's day, was a moment of peace in a time where such seems unreachable. Ryo, in his mind, was the only one who learned to appreciate times like these. To lay as one with nature had the ability to open one's eyes and reveal things that they wouldn't have seen otherwise. He heard stories of people abandoning their lives, stripping themselves of the privileges they had just to venture out into the wilderness and become one with their surroundings, possibly finding themselves in the process. Because of these stories, to have the opportunity to lay without a care in the world, just to listen to the soft murmur of water, the rustling of leaves in the wind, or even the birdsong mixed with the occasional squawking, was one of the best things to enjoy in one's life, and was by no means, a waste of time. Being the uncaring man he was, Ryo would often think about going off on an adventure like the ones he hears about. If he wanted to, he could do it right now. Deep in the mountains, one could just walk into the nearby wilderness and simply escape from their life. Unfortunately, he would never go through something like that. Without proper preparation, it would be suicide. He also had somewhat of life in his village, and despite not seeming like he enjoyed it, he could never bring himself to abandon it. While his eyes stayed focused on the clouds above, the sounds around would seem to be too much as he closed his eyes. While he continued to remain still, his thoughts didn't seem to stop. Instead, they went to the situation of Sunagakure. Despite being among the major village once upon a time, the village fell into an empty desert filled with lost refugees that the remaining four villages seemed to want to help together. Under the surface, however, each village had their own plan for the ravaged desert and citizens, which seemed to cause an all-out war between villages that once sought out peace with one another. Since every village seemed to summon every capable shinobi to help with the effort, Ryo forcibly found himself there as well. Not suited for combat, Ryo accepted the role of a laborer and during the backbreaking work he had to endure, he never saw the mess of the battlefield, keeping his innocence intact. During his time there, he thought about those that could fight. The shinobi of his village that could say they were strong. What did it mean to be strong? Physical strength? Ideologies? Ryo had no idea. Was he strong? No one could say. Were Aikiko and Kejido strong? They were definitely leagues beyond Ryo, that was for sure. 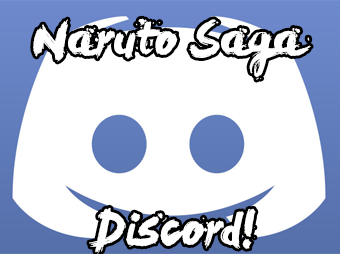 Though, how far along were they in the shinobi world? His mind went to a book he read several months ago while he was working in the large library within Diamond Heights University. It mentioned Jinton, a release known for its ability to break apart, manipulate, and reassemble molecules. If he learned something like that, would he be strong? His eyes would snap open as a distant sound managed to reach his ears. The scream of a kettle. The sound was one he knew well as it stuck out from the sounds of nature that filled the air before. Quickly sitting up from his position, the young man would curiously look around as his eyes adjusted to the light that he previously shut out. Although the sound was now gone, it already grabbed Ryo's attention as he lifted his body off the ground. Free from his weight, the grass that was underneath him would slightly recover as it raised back up. Now standing, Ryo knew that the sound came from across the river that flowed only a few feet from where he was laying, but he was lost beyond that. Curiosity was a weird thing that often drove people to do things that they normally wouldn't do. Dangerous for some people, it was often pretty mellow for Ryo, often involving the inner workings of things only to figure out how they function. Now, however, the simple sound of a kettle seemed to almost interest him more than anything in the past. What was being made? Bitter coffee or smooth tea? Or more importantly, who was in this valley with him? He feet carried him to the edge of the river, where he was tasked with getting across it. Simple for some shinobi, it seemed difficult for the inexperienced shinobi that was ignorant about practicing. While not too wide, jumping was definitely out of the question, which only left one option. While the supernatural walking practice was a requirement to graduate from the academy, Ryo has never really used it since then, and as he slowly brought his foot above the water, it was apparent that he was extremely hesitant. He focused his chakra to his feet, forming it into a barrier between his sole and the water, slowly putting his weight on it. The first foot was a success, and the second one was too. Now standing on water, Ryo started to move. Seeming as if he was walking on a tightrope between two skyscrapers, his face was pure concentration as he slowly made his way to the shore. Eventually, his foot would reach the ground as he stepped off of the water. Now across the river, he was closer to wherever the kettle was at. His situation would almost seem humorous to a spectator, as he had a considerable amount of trouble with a simple task of crossing a river. And now that his eyes looked over the tall grass around him, he would seem lost. He knew he was close, but the direction he needed to go was a mystery to him. He took a few steps in a random direction, aimlessly looking around. Maybe he was stupid. Mizuki's attention would be attracted by movement in the corner of her eye. The boy, once sunken in the grasses, had decided to move. He stood up, fluidly. Not fast but rather practised in a way that would indicate he did a sort of physical training most commoners wouldn't bother with. Nothing alerting but the eyes of special jounin were trained to take note of such things, even if they had no intention to bother with minute details such as these. Mizuki allowed her attention to slumber, focusing on the cup of tea she was holding in her hand. An athletic guy wasn't anything to worry about. Until he reached the river itself and decided to interact with it. Familiar yet unexpected sounds would be caught by her ears this time. Not the splash of a man seeking to quench his thirst in the cool waters, nor one wishing to splash water on his face in refreshment. Too small a sound to indicate swimming. More like someone was trying to stand on it. Her blue-green eyes would glide over again to the boy, catching him walking on the water itself much like her ears had already told her. It was hardly a secret now; only a select group of people had the ability to do something like this: chakra users. He could be an academy student, maybe a genin of Iwagakure but such assumptions were not at the order for a woman caring only for her cup of tea. Then it hit her. The tea kettle. Seeing his eyes inquisitively looking around in her direction, there was a chance he had heard the whistle of the kettle and was now trying to figure out its origins. So perhaps the boy was a shinobi after all, hearing something unusual and now seeking to find its origins as he wanted to make sure all was fine in the land of Iwagakure. A patrolling genin having decided to laze around some rather than to diligently continue his mission. Perhaps. Perhaps not. It mattered little. Feeling that her peace of mind had been disturbed, her morale would prod at her heart reminding her it would be rude not to invite a stranger merely seeking to slake his curiosity. "You'll find me near the mountain slope. ", she spoke up, sufficiently loud and clear for him to hear her but without moving from her place. Just a little test to see how perceptive he was, and perhaps most importantly how vigilant he would be. Was he the sort to draw a kunai straight away until he took note of whatever mystery he was facing or did he feel such vigilance was not needed in a remote place such as this? A habitual flaw of the shinobi diplomat she simply couldn't disregard even now. Always prying loose little bits of information to analyse whoever was nearby. Read their personalities, discover their potential for martial arts. Maybe it wasn't her diplomatic expertise doing this but rather the inheritance of a former swordmaster being selective about their future students. Who could say? "Would you like a cup of tea? ", she'd casually ask the boy, whether or not he had discovered her little place by now. She had yet to move from her place, still seated as she took another sip of the cup which was now about halfway empty. Or full, depending the mindset of the philosophical person perceiving it. She wondered if he'd be courteous enough to accept the offer of a woman, or know sufficient politeness when declining. But why Mizuki would still care about such little details since she had decided to live as a mountain hermit, was still beyond her own comprehension. As the young man continued to walk aimlessly around the side of the river that was new to him, a voice would come out of nowhere, acting as a saving grace for a lost man. Ryo slowly turned towards the direction the voice came from, not snapping towards it like most people would in this situation. The voice stated that he could find them next to mountain slope. With how empty the valley was, and with how lost Ryo was acting at that moment, one could quickly assume the voice was talking to him. Turning his curious gaze to the slope that the voice talked of, Ryo realized that the sound of the kettle might've been further away than he first thought. Close, sure, but not that close. His curiosity seemed to guide his feet by itself, causing his body to move in the direction of the camp. As he moved through the tall grass, his mind thought about what he was walking into and determined that it was pretty sketchy. This valley was far away from the village, deep within the mountains of Tsuchi no Kuni, and it was possible that this voice and Ryo were the only two people in it. However, Ryo was able to decern that the voice was feminine, which, while it didn't mean anything, it did do that trick of giving Ryo some comfort. What woman would spend her free time murdering innocent civilians who are just lost? Along with that, Ryo didn't look like anything special. He didn't seem wealthy or even well off. He was just... average. While this made him an easy target, most bandits within the mountains wouldn't take the time out of their day to bother him. Despite being easy, there probably wasn't much to gain from his death than, well, his death. When Ryo arrived at his destination, he wasn't sure about what he expected. While what he saw was more realistic than the what he thought he'd see, he couldn't help but be surprised. He was greeted with a young girl in her early twenties, not that older than himself, sitting on a rug. While wearing a kimono that seemed like it was the only clothes she had, she managed to wear it in a way that showed that she still cared somewhat about her appearance. As the girl's blue-green eyes stared at him, quickly offering her a glass of tea, Ryo's body wanted to instantly accept. It's strange a hermit in the middle of the mountains to put someone at ease, but Ryo felt like he had nothing to worry about. However, his mind would stop his response in its tracks, reminding himself to think about situations like these and not to act on impulse. His eyes left the yamabushi, studying their camp for something suspicious. Holding a makeshift rug barely big enough for two people, Ryo decided that this person was usually by themselves. There was a campfire, which was heating the tea kettle that he heard before. While it didn't really mean anything, it wasn't often that a bandit chose a cup tea to quench their thirst. Finally, a distance away from everything else, there was a rack holding two skinned rabbits. Clearly, this person has been here long enough to be able to catch rabbits, something that Ryo couldn't even think about doing. Looking over his shoulder towards the river, Ryo was easily able to see the spot where he was laying before. If this person was a bad guy, he probably would've been attacked then and not invited into their camp. After taking about thirty seconds to form a response, Ryo eventually agreed to the girl's offer, not really seeing why he wouldn't. Tea in the mountain sounded nice, after all. "Sure. Can I sit down?" As he gestured to an empty space on the ground, his voice wouldn't really be that of interest. While he did have the manners to ask before he sat down in someone else's space, his voice had a tone of apathy, one of which showed that he thought such mannerisms were annoying to uphold. If the girl did allow him to sit down, he would choose a spot that was close enough to the crate so it could act as a table, but not too close to the mountain stranger that he just met. His confirmation to the offered tea would come with certain delay as he felt the need to observe the basic camp. Curiosity, perhaps a hint of vigilance. Suzume would wait patiently for him to feel comfortable enough to give her an answer. He accepted, proceeding with a question of his own if he was allowed to sit down. Suzume nodded. She would have given him a rug of his own if she had any other but since that wasn't the case he'd have to endure the discomfort of sitting at this chosen spot. Once the young man would have settled down, she'd quietly take an empty cup and fill it with the still steaming water from the kettle. Placing the cup of hot water before him, she would then take up the clay pot and add some herbs to the bare liquid. Finishing her small ceremony, she would raise the fresh cup of tea and offer it to Ryo once he had taken his seat. "I hope you aren't slighted by my lack of selection on herbal flavours for the tea. A hermit can only offer what nature provides her." Hoping he'd accept her offer, she would return to her seat shortly after if he did so. If not, she would wait a few more seconds before eventually placing it on the makeshift table next to him. Courteousness of a geisha aside, the yamabushi had no need to be made a fool if such would be his decision. The result would eventually be the same, only the impressions of her guest being different. Taking her own cup back in hand, Suzume would take another sip of her own tea and allow the beverage to wet her mouth before she'd speak again, thoughts lingering on the impression she had seen this boy before somewhere in the past. "I'm Suzume, a yamabushi residing here in the Valley. Are you from around here?" Small questions could reveal a lot of answers. Facial expressions, reflections in the eyes, choice of words. There were a lot of things that could reveal an individual's personality and intentions. In this case she wanted to figure out if her vague deja-vue was just a trick of her own mind or if she truly had seen the young man before. The odds to meet someone she had seen months ago (or how long was it?) would be small but the shinobi nature Suzume attempted to avoid was too deeply ingrained to be discarded this easily in situations as this. It was not unusual to meet travellers at this place but there weren't that many who took the liberty of resting in the grass while bandits lurked about every corner to harass civilians. That wasn't to say that Iwagakure Forces didn't do anything, it was just that the Valley of Mountains was such a vast area to cover at quite a distance from the Village while the shinobi had other priorities. Such was the downside of a remote spot like this. The woman's confirmation prompted Ryo to take his place on the rug beneath, crossing his legs as he sat down. When he got comfortable, the camp he observed before suddenly triggered a sense of solace in him. It was a strange feeling for someone like Ryo. As someone who faces his problems with a strong defense of ignorance, going as far as to state that he doesn't have any problems at all, he was surprised as a strange wave of calmness washed over him. Where this feeling came from, the young man couldn't say. The camp he was in was nothing special, and was probably on the lower end of campsite quality, but what does Ryo know about that? Ryo knew that the camp wasn't it, as he, in any situation, would avoid sleeping on the ground. Was it the girl? ... No, it probably wasn't that. As his eyes shifted to the girls face, they quickly found their place on the glass she was extending out to him. Shooting a small smile the girl's way, Ryo reached out and grabbed the glass of tea. When his words were said, they would seem much more sincere than what he said previously. His early words were out of obligation, while these would have a hint of gratitude. After all, who doesn't like tea? As he went to take a sip, he heard the girl's words in his ears. Processing the, as apologies for her lack of fancy herbs. Letting the liquid sit in his mouth for a second, Ryo gulped it down, rushing out his next words quickly, almost interrupting what the girl was saying. "No, this is great. I can't believe you made this using stuff around here." These words came out sounding honestly impressed. If he were to think about it, Ryo would come to the instant conclusion that he wouldn't stand a chance out in the while. Not only would the threat of bandits be a total drag, how would he even survive? Seriously, if someone were to drop him the middle of a forest, he'd probably die from eating poisonous berries within the first hour. What this girl was doing showed a huge load of skill. Eating food you hunted yourself, making tea from herbs you went out and gathered. Wow. Now that he was thinking about the girl, something in the back of Ryo's brain started to bug him. As this came to fruition, his expression would change as well. Tilting his head and looking to the side, the young man's thoughts went to solving this... bug. What did people call it again? Deh...ja...something. Why did he feel like this was a repeat of something? When the girl, now known as Suzume, asked her question, Ryo's response would come out as a mumble, but still understandable. "I'm from the village... oh, and I'm Ryo." With several villages around the two of them, Ryo said these words with the assumption that she'd know what the village was. The last part of what he said was also somewhat of an obligation. She gave her name, he gave his. It was the simple exchange all humans make. As the two of them sat together, the feeling in the back of his head grew larger as the seconds passed. Something about long, silky black hair reminded him of something. Finally, Ryo would turn towards the girl with a face of confusion, suddenly letting out a question. "I'm sorry, have we met before?" When he revealed his name, the deja-vue instantly clicked. Ryo. Aikiko. The two genin she had met while she was staying in Iwagakure back in the days she had heralded Hastur's rise to power. How long ago had this been? Two, three years? She remembered their breakfast together. A simple but pleasant encounter. One of several good memories she had from her stay in the village. "I do believe we have met before, Ryo. ", she'd say as she sat down herself and picked up her own cup of tea. After taking a sip of the hot beverage, as if doing so would strengthen the memory to what exactly had happened that day, she proceeded, "We met in Iwagakure, at a diner. There was another girl, too, who took place at my table. She ended up recognising you and invited you to sit together with us." Her eyes had a distant look as she spoke, looking into the memories of history. Deliberately leaving out a couple of details about that day. Such as Aikiko's name and the seemingly troubled relation or rivalry between the two genin. A relation that could easily be attributed as you standard brother-sister or boy-girl interaction at that age. Whichever was exactly the case between the two, Mizuki had never known other than it being rather amusing to see. The details left out were open for the boy to fill in should he remember that same moment and feel a need to do so. While he rummaged in his own memory and, perhaps, added a couple more details, the hermit would take another sip of her tea while it was warm. "How have you been doing since last we met? Has your training been bearing fruits?"